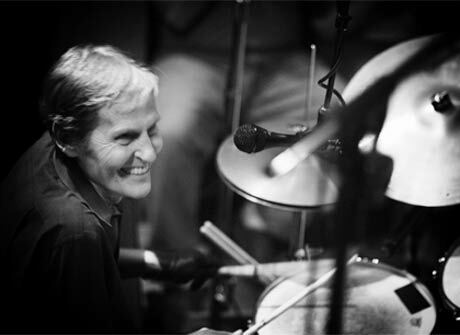 Following the announcement on Tuesday (April 17) that Levon Helm was in the final stages of cancer, the legendary Band drummer/vocalist and solo artist has died. According to media reports, Helm passed away this afternoon at the Memorial Sloan-Kettering Cancer Center in New York. He was 71. In a statement to Rolling Stone, Helm's longtime guitarist Larry Campbell said, "He passed away peacefully at 1:30 this afternoon surrounded by his friends and bandmates. All his friends were there, and it seemed like Levon was waiting for them. Ten minutes after they left we sat there and he just faded away. He did it with dignity. "It was even two days ago they thought it would happen within hours, but he held on. It seems like he was Levon up to the end, doing it the way he wanted to do it. He loved us, we loved him." Helm was born in Elaine, AR, in 1940, and rose to fame in the 1960s as the drummer and occasional singer of celebrated Canadian roots rock outfit the Band. After forming as Ronnie Hawkins's backing band under the name the Hawks, the Band were recruited by Bob Dylan to play with him during his mid-'60s electric phase. The group also backed Dylan during studio sessions from the era, and some of these songs were released (along with some additional material by the Band) in 1975 as The Basement Tapes. The Band went on to record their own music, and most notably released the debut album Music from Big Pink in 1968. It frequently shows up on lists of the best albums of all time and features the classic tune "The Weight." Helm was diagnosed with throat cancer in the '90s, but overcome it and experienced a successful late-career resurgence. He released several albums and toured extensively during the final decade of his life. He seemed in good health until recently, when he cancelled some shows this spring. Helm famously feuded with his Band collaborator Robbie Robertson, but that didn't stop Robertston from visiting Helm in the hospital this week. Robertson wrote on Facebook yesterday (April 18), "Levon is one of the most extraordinary talented people I've ever known and very much like an older brother to me. I am so grateful I got to see him one last time and will miss him and love him forever." Helm is survived by his wife Sandy and daughter Amy.